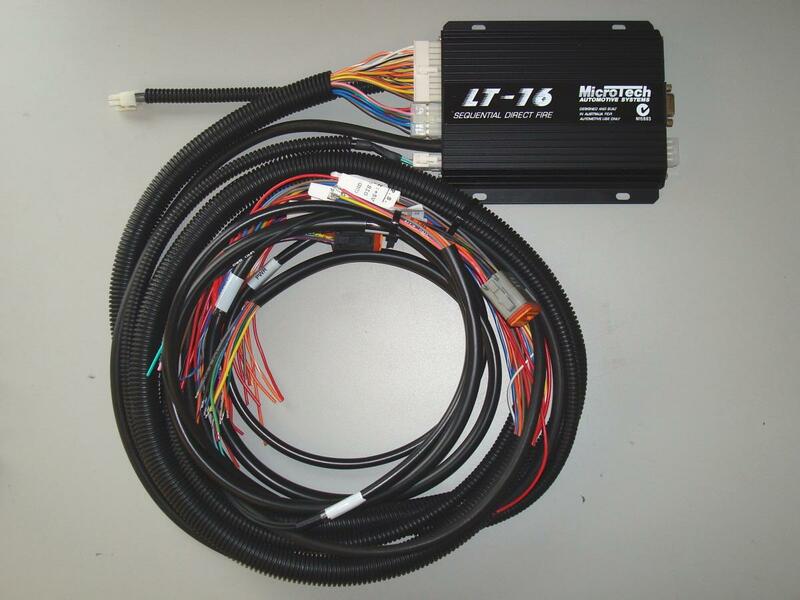 We opted to install the MicroTech LT-16 Engine Management System & X6 Ignition Module using a Custom Banzai Racing 20B Adapter Harness. 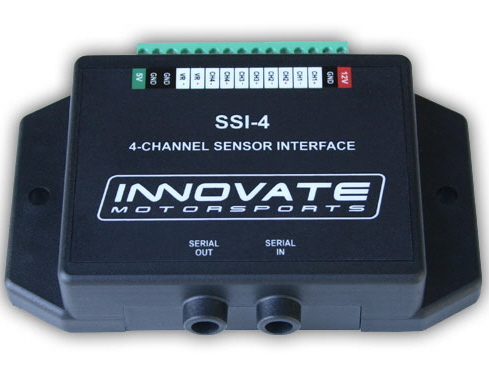 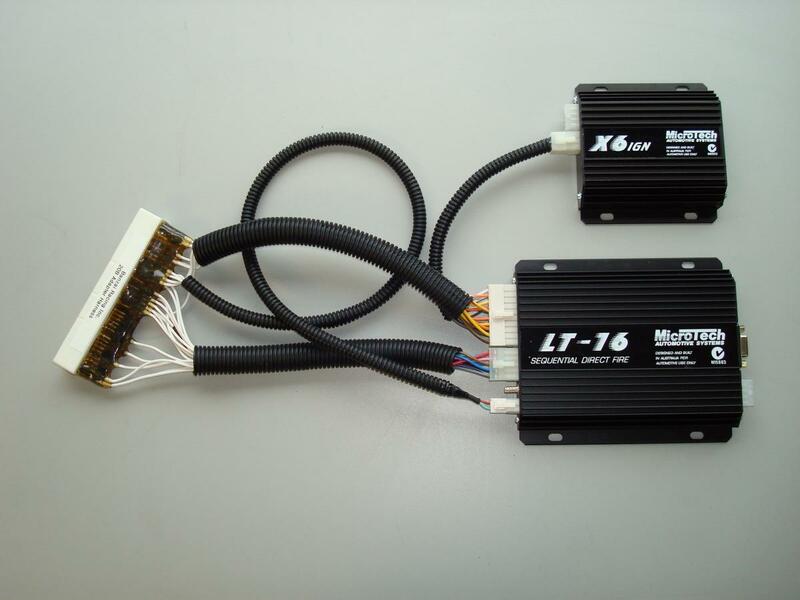 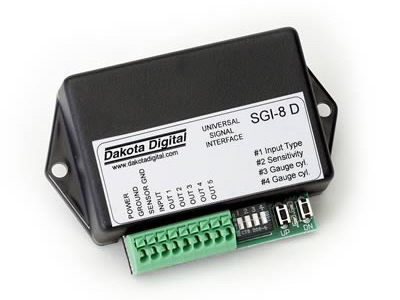 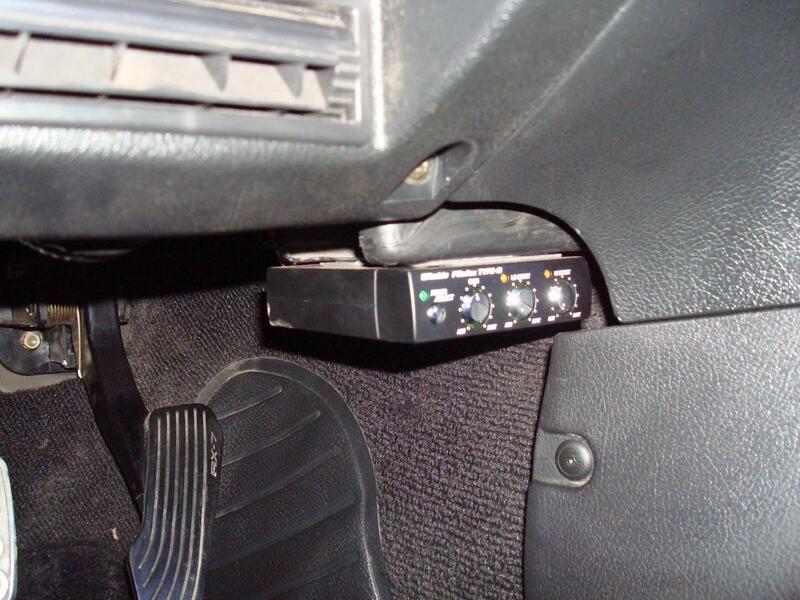 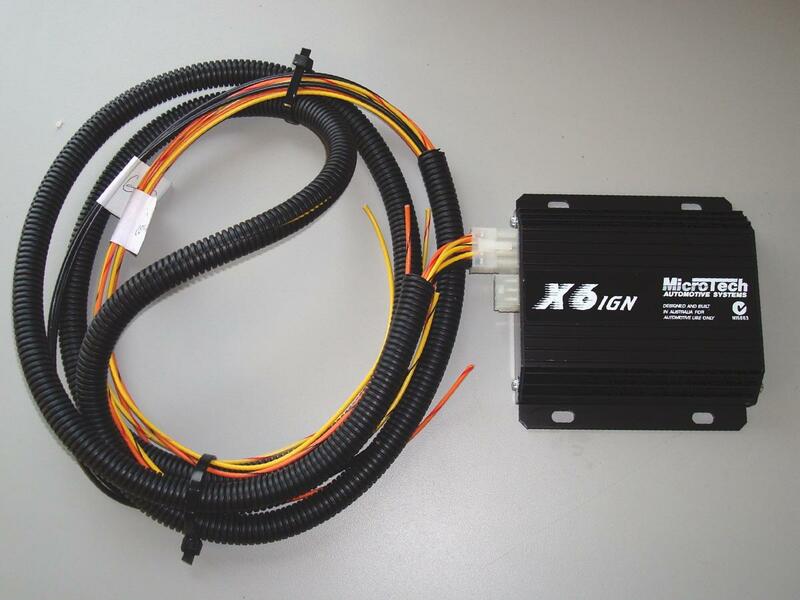 We also installed the Innovate SSI-4 Channel Sensor & Dakota Digital SGI-8 Tachometer Interfaces. 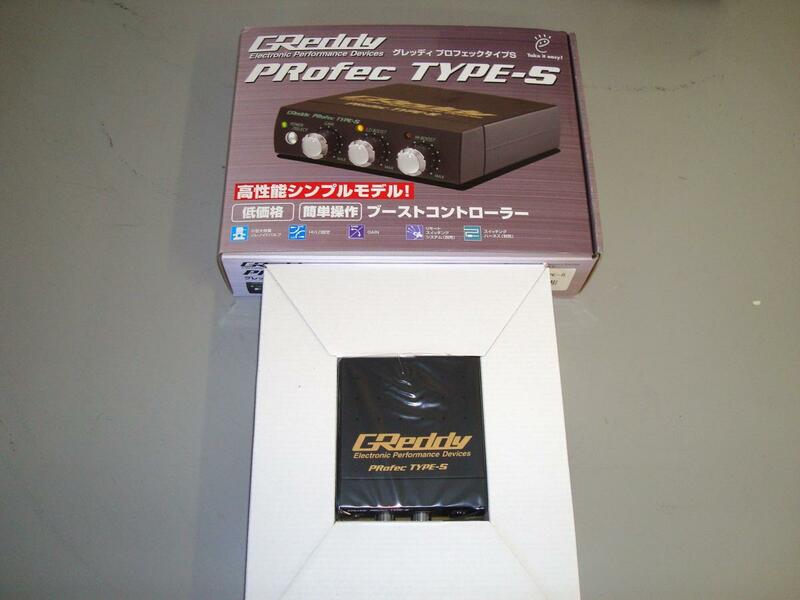 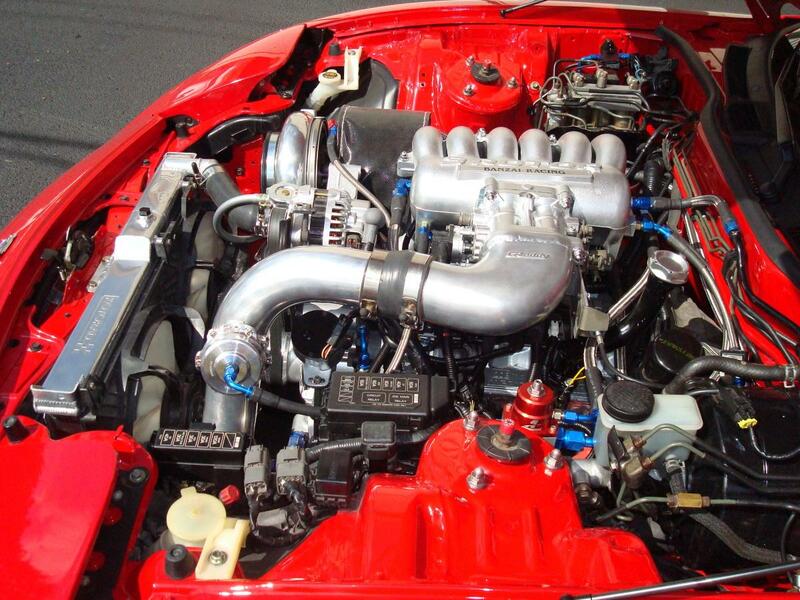 We installed a GReddy Profec Type S Boost Controller and the HKS Twin Power. 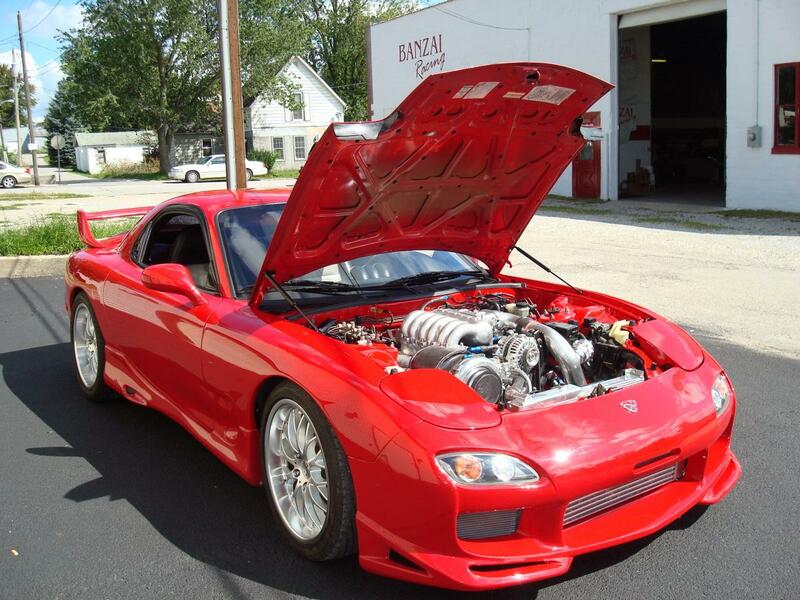 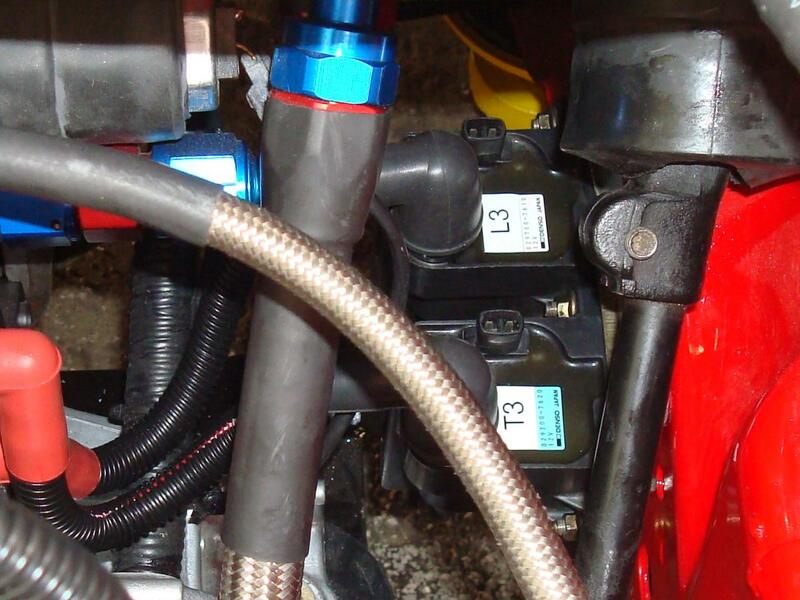 We installed stock FD Trailing Coils and Harnesses, Magnecor Plug Wires and NGK Spark Plugs. 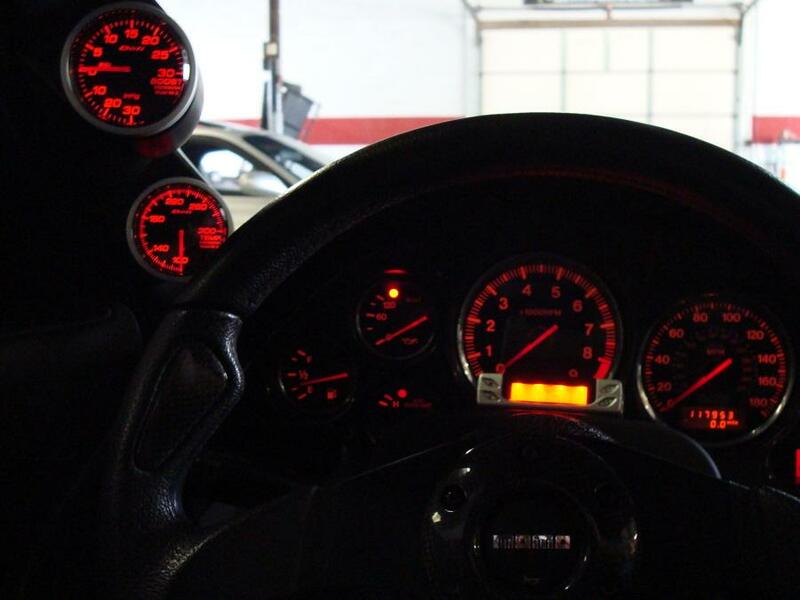 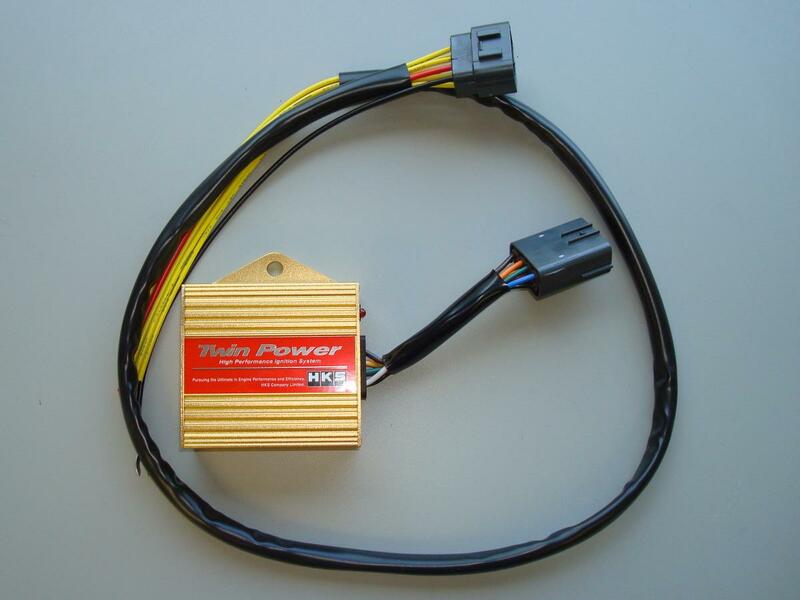 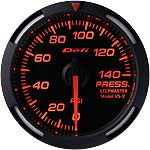 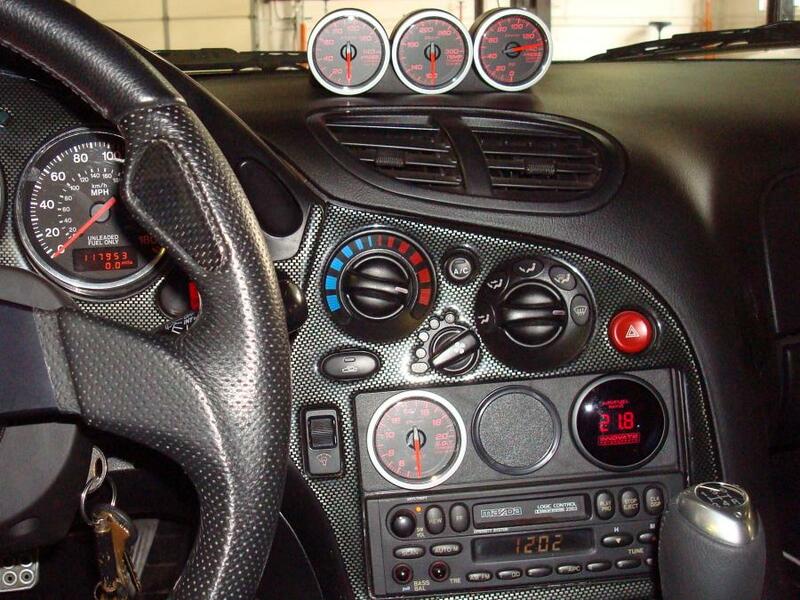 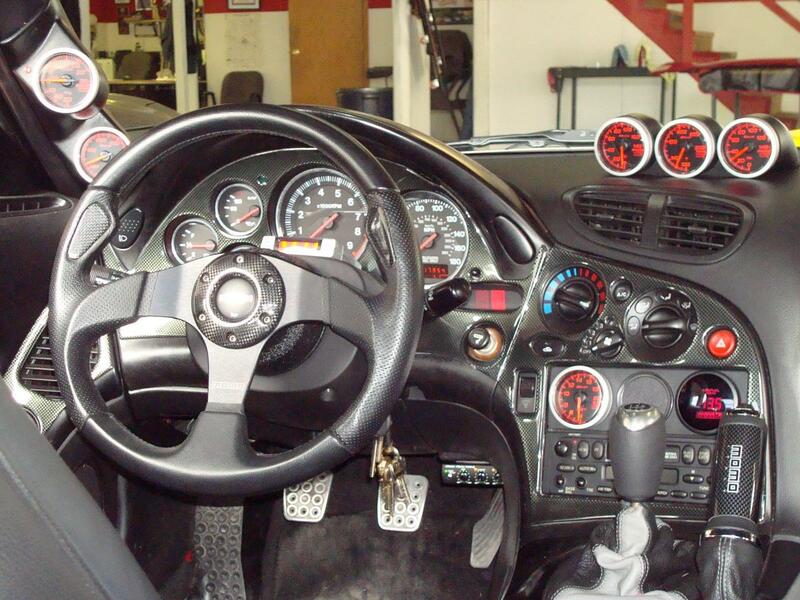 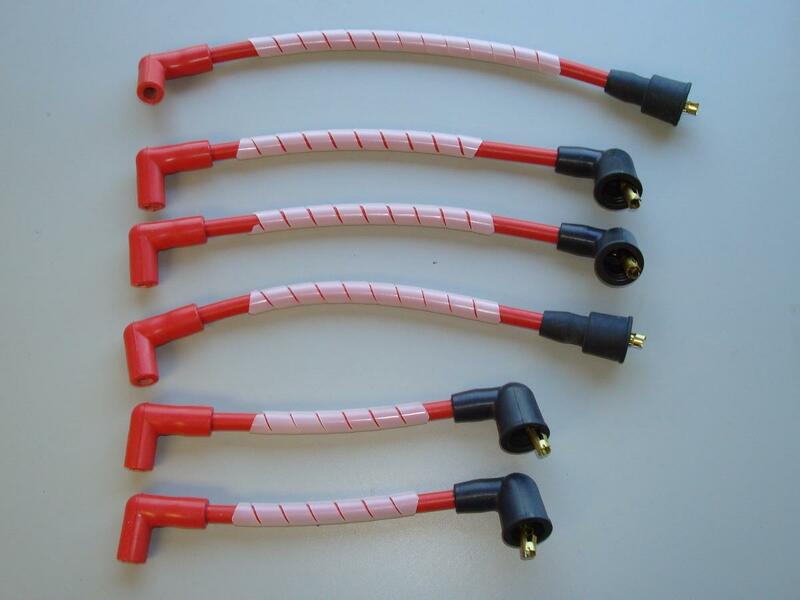 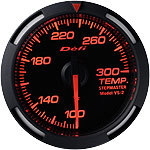 We upgraded to DEFI Red Racer Gauges; Boost, EGT, Oil Temperature & Pressure, Water Temperature and Fuel Pressure. 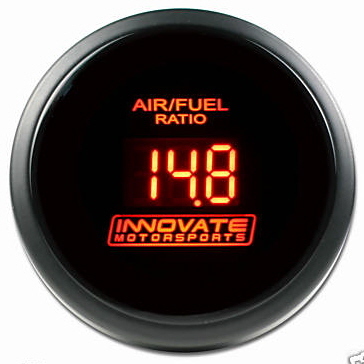 We also installed an Innovate Wideband. 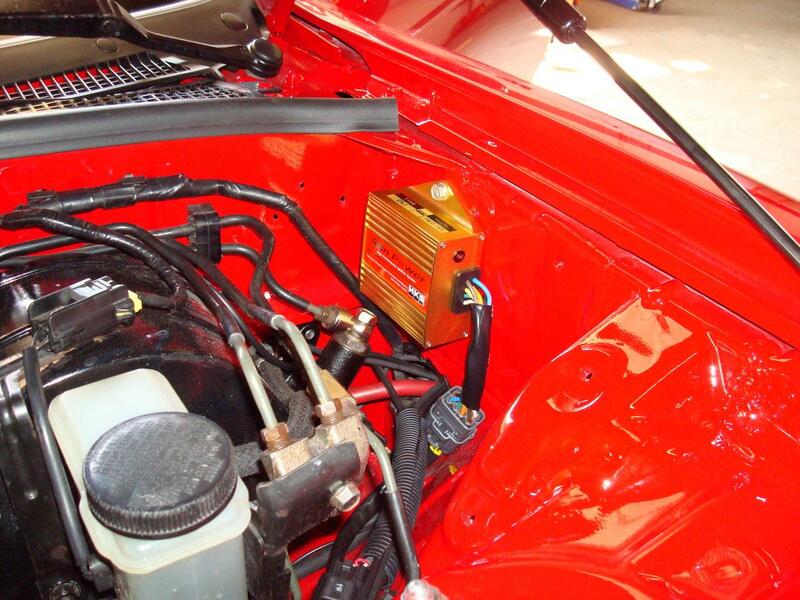 Our 20B Converted Efini roared to life today, August 26th, 2009 on the first key turn!!!! 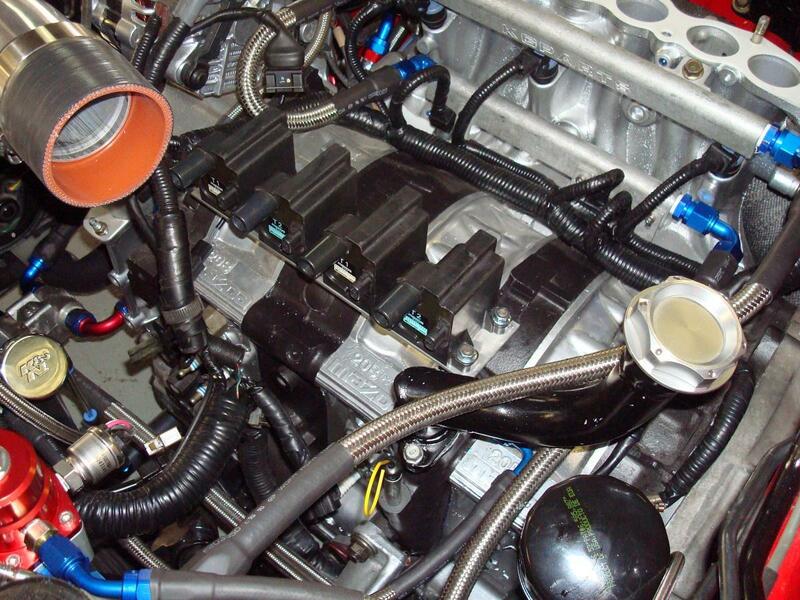 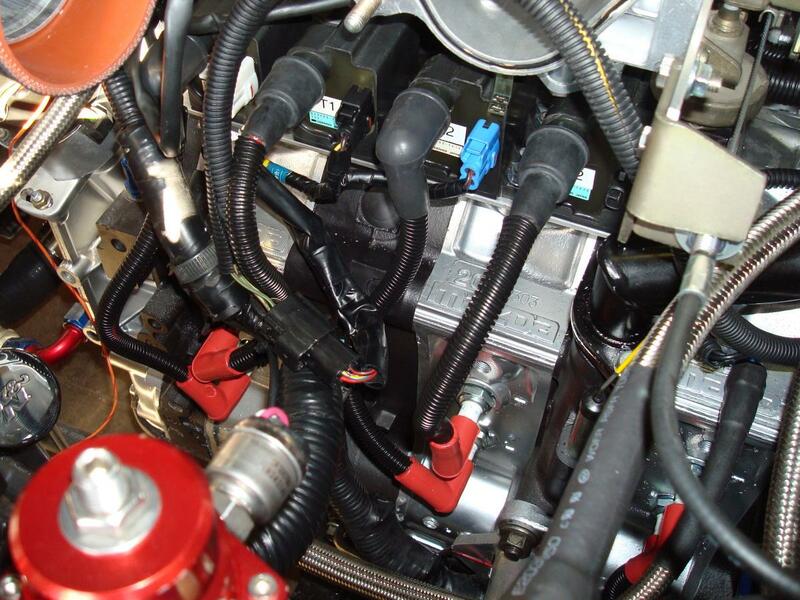 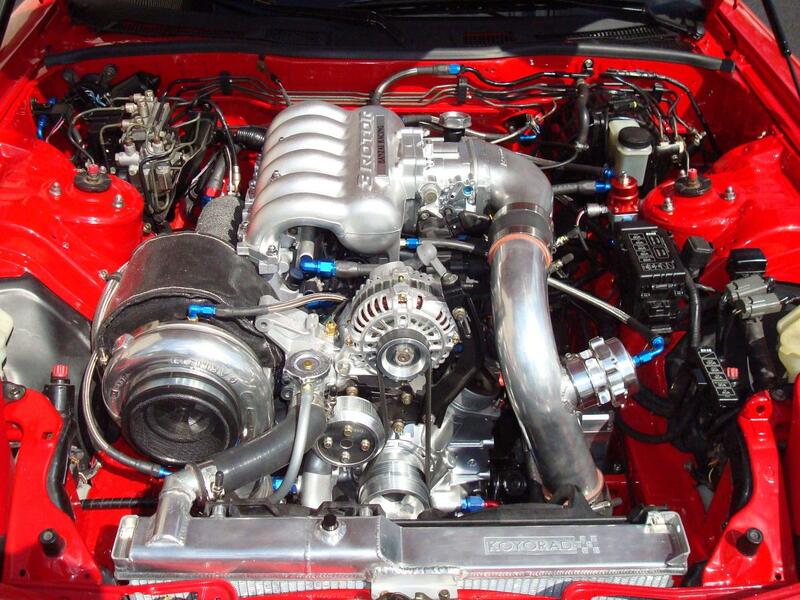 In September 2010 we installed the AEM Water / Methanol Injection System. Now it's time to turn up the boost.